Have you heard of the Monkey Buffet Festival celebrations in Thailand for good luck or the Krampus night in Australia where a fierce Santa shows up on the streets to discipline kids? While we are accustomed to the most common cultures around the world, rarely do we discuss about the unconventional and odd practices of modern times. It’s fascinating to learn about a vegetarian festival held in Phuket Town that supposedly wards off evil or how African tribes wear cool brass rings around their necks for a beauty uplift. Prominent places like Spain, Italy and England are known for some of the most unusual and intriguing cultural practices. 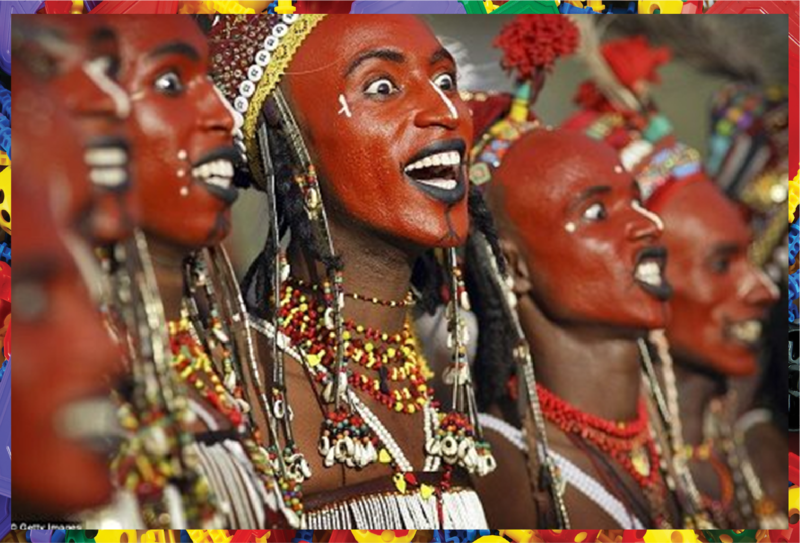 The list below uncovers the inspiring and fascinating attributes of some of these treasured traditions that are precious to the locals. 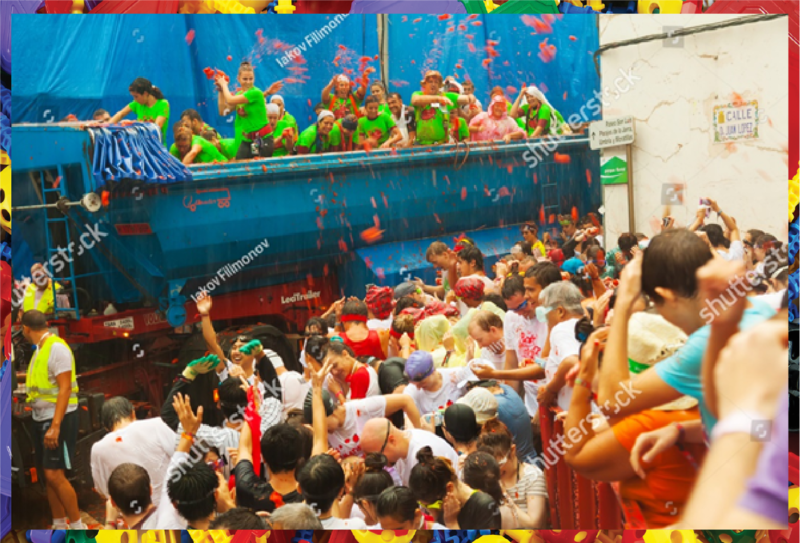 The idea of throwing tomatoes sounds a bit outlandish but it has people going crazy in Spain with thousands of tourists flocking in to witness the largest tomato-fight in the world. The Tomatina festival is celebrated every year on the last Wednesday of August in the breath-taking city of Bunol, inside the Valencian town. The tradition has participants engrossed in a thrilling tomato-battle, sloshing each other with tomato juice in fun-play. The festival has become so popular that you’ll need to book a place in advance to attend. Food-fight aside, its rolling cheese! For the last 200 years, the practice of rolling a 9-pound Double Gloucester Cheese off the top of Coopers hill in Gloucester has been going on with thousands of visitors gathering at the place to be part of the contest. 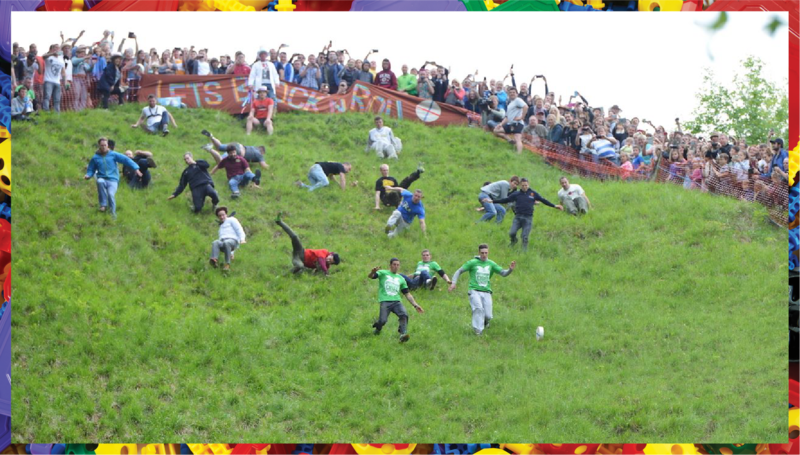 The competition is held annually on the last Monday of May with participants eagerly wait for the cheese to go rolling down the hill so they can chase it, slipping or tripping in the process to grab a piece of the cheese. A highlight of the Spring bank holiday, the contest concludes by awarding the winner the prize of actual cheese. 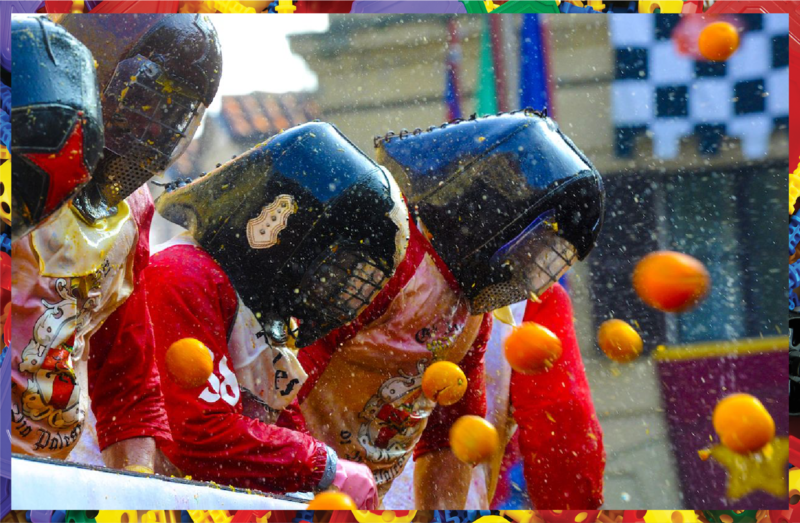 The Italians are seen battling it out with oranges during the ‘Carnevale di Ivrea’ that is held in the city of Ivrea to relive the historic moments from the ancient battle between early inhabitants and a tyrant ruler. Celebrated in the northern Italian city, the ‘Battaglia delle Arance’ practice is considered as one of the largest food-fights across the globe that has more than 1,000 pounds of fresh oranges ready to be used as weapons. It’s a festival that celebrates history, culture and the fight for independence having transformed into an important tradition for the Italians. 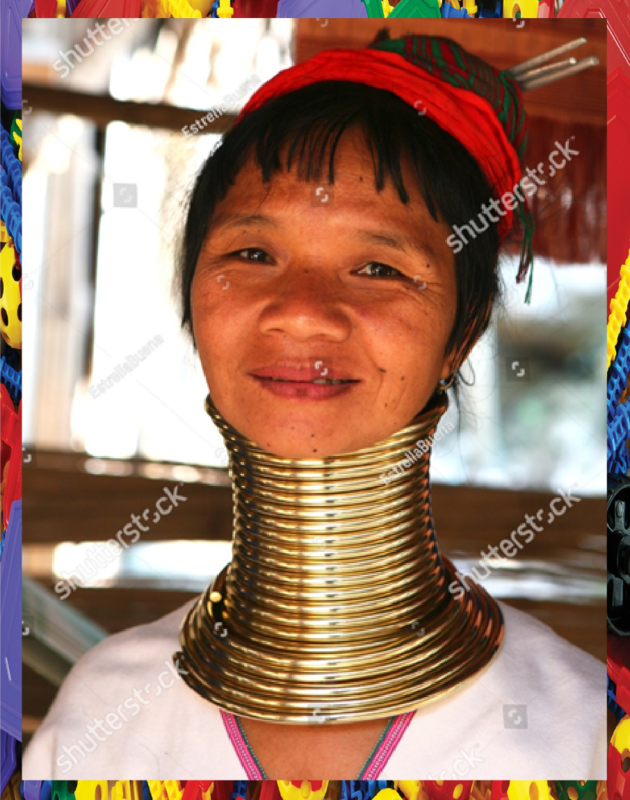 Brass rings are worn around the necks by women in the Kayan tribe from northern Thailand and some African tribes as a symbol of beauty. The ring is a stiff piece of jewelry that is made from metal entailing several coiled layers that are shaped into a neck-ornament. There are two types of rings, the first worn by both men and women known as torc that dates back to the European Iron Age. The other a metallic form with 20 or more coils shaped in a ring that is mostly adorned by females as a way to elongate their necks. If these weren’t peculiar enough, you should probably check out the funeral ceremonies of some Indonesians who prefer living with the dead or Women in Mauritania who go to ‘Fat Camps’ where they consume 15,000 calories a day. Seems unbelievable but it’s true. 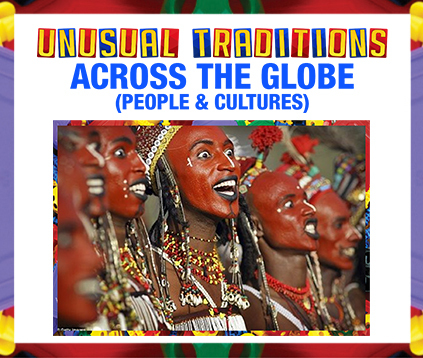 However strange and unusual these traditions may appear to most individuals or visitors but they are most sacred to the ones who practice them as a part of their cultural heritage. As Tom Freston said, “Travel early and travel often. Live abroad, if you can. Understand cultures other than your own. As your understanding of other cultures increases, your understanding of yourself and your own culture will increase exponentially”.